Our pool team competes in the APFSCIL Pool League against other London-based supporters clubs, playing to EPA regulations in a team of 6 (6 singles frames, 3 doubles). The London Saints individual Pool and Darts titles were won with a combined age of 116! Reggie Betts took the Pool event with Mick Strickland the Darts champ. 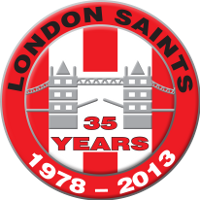 London Saints suffered a narrow defeat to West Brom but remain top of the APFSCIL pool league. Keenan and Berkeley take the prizes! Forget The Brits and The BAFTAS. The real sought after silverware was on display at The LSSC Darts and Pool extravaganza in London on Wednesday! Steve Keenan and Peter Berkeley took the honours on the night.